Everyone has the same 24 hours in a day. Some people have advantages you don’t have and some people have disadvantages you don’t have – that’s life. 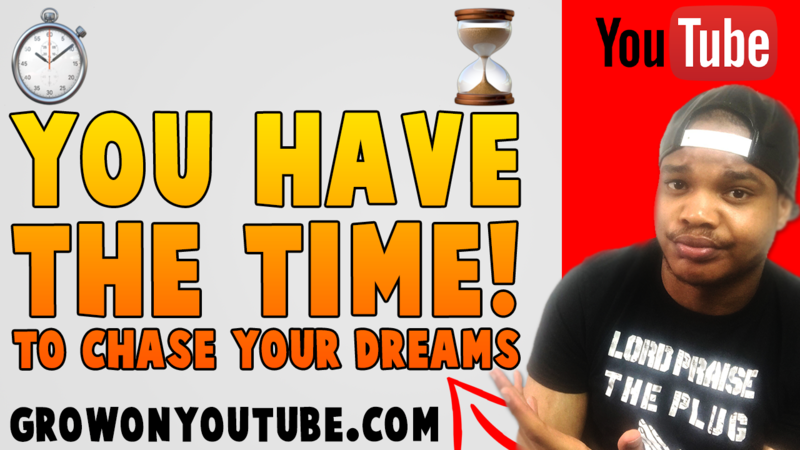 You can sit around and sulk about your situation, you can continue to make excuses for why you haven’t started working on that business or YouTube channel that you wanted to start, or you can start. When I was focusing on making music, I spent countless hours dedicating energy to my craft everyday. When I wasn’t actively making music, my waking hours were consumed by music-related activities ranging from learning how to become a better producer to watching interviews from other musicians to get an insight into their process. When I came home from studying music production at university, I put more time into my musical aspirations, but – the truth is – I didn’t want it enough. I wasn’t excited at the thought of performing my music in front of thousands of people. I was half-hearted. Plus I needed to pay my bills and music wasn’t being very helpful so there’s that. You can move towards your goals despite all the obstacles in your way. You can dedicate an hour every day to working on your dream – cut out Game Of Thrones or an hour of sleep if need be. You need to understand that it’s going to be uncomfortable, it will likely be hard, but what is your happiness worth to you? Sacrifices will have to be made for you to change your circumstances but rest assured that consistently working hard and smart towards a goal will bring you closer to that goal. Do you know what won’t bring you any closer to your goals? Excuses. People are too consumed with idea of ‘overnight success’ and they want the results of their hard work to be immediate, but the truth is that that is unlikely. You may have to work hard for months or years before you see any return on your investment – that’s just the reality. You can either accept that fact and change your life or accept the life you currently have. It’s easy to get disheartened when you don’t see the results you expect, so expect nothing. You’re entitled to nothing and you deserve nothing. The sooner you realise that, the more successful you will be.